I never thought it would happen, but the day has come that I walked into the public library and could not find the book I was looking for. My midterm project for school is to read a book from my personal collection and analyze it. I chose Lewis Carroll’s Alice’s Adventures in Wonderland and Through the Looking Glass. Since it was written in the mid 1800s, there are a few words that have different meanings now, therefore I wanted to look them up in the dictionary. 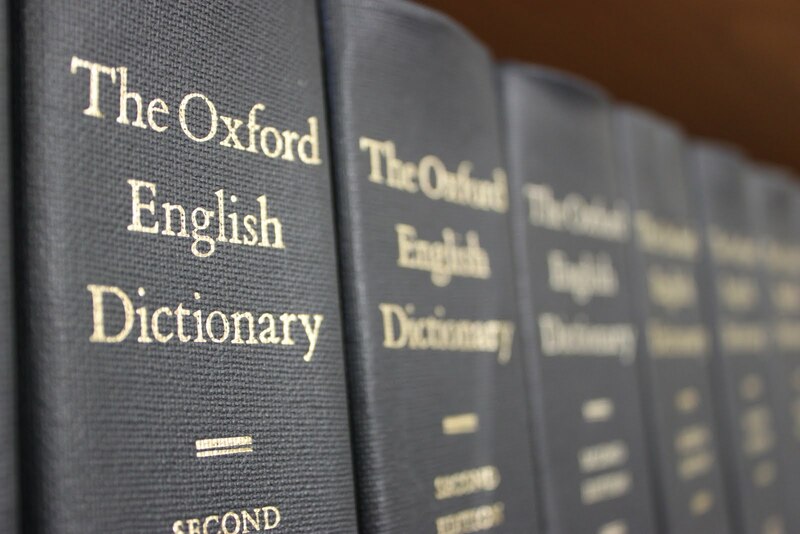 In a class last week, it was revealed that the Oxford English Dictionary is the mother of all dictionaries. This is mainly due to the fact that it records word origins from some of their earliest usages. This was the dictionary I was needing to use. This evening after work, I visited the public library just down the street. I went up to the counter and asked the librarian/assistant (I’m unsure what their positions were), where I could find the Reference section. One of them turned to look at me and began to say “We don’t a reference section,” before another worker spoke up and asked, “what exactly are you looking for?” I answered, “a dictionary.” After an odd look, the first worker referred me to the aisle at the far end of the library. Upon arriving to that section, I try to locate any book that says “dictionary” on it. The selection was sparse. Not only was the entire section of non-technical reference books only about 4-feet long, but general reference materials were in sad supply. So sad, that there were only 2 dictionaries on the entire shelf. One was a dictionary/thesaurus, of which was thinner than most of the Bibles I own. The second (of which they actually had two copies), was also lacking in volume. Not too long ago, there used to be shelves upon shelves of reference materials. Shellllllllvvvvves. After looking up the word I was searching for in one of the two copies, and not discovering at all what I hoped to discover, I returned to the desk and asked if they happened to have any other dictionaries in the library, namely the Oxford English Dictionary. The library worker offered to look it up in the system and online. After determining the OED’s website is subscription-based, of which I had already mentioned, and they did not have a subscription to, she went to look in their database. As it turns out, there is not a single copy of the OED in their circulation, at any of the locations. Thanking them as politely as I could, I walked out feeling rather dejected and disappointed, and more than a little bit ticked. Mind you, I could visit the university’s library (and may very well have to now), as I know they have a copy, but that isn’t the point. The point is, a PUBLIC library, consisting of roughly ten to twelve locations does not have one of the most renowned dictionaries in the English language in its collection. Yes, a majority of society will look up word definitions on Google and be satisfied with the results. I would be doing the same thing, for a quick result. But when looking for the root meaning of a word, its etymology and origins, it isn’t quite that simple. First take away the dictionaries, then what? I understand that we live in the digital age. I understand that kids these days (i.e. anyone less than 22 years old) have been raised on more screen time and less printed book time. That’s not the point. My point is, don’t lose all respect or fail to recognize the value of an actual printed book. There is still something that physical books can offer, that open source Internet-based software cannot. So it’s been nearly two weeks since I finished NaNoWriMo. Yes, I wrote a 50,000 word novel draft in a month. An entire month of literary abandon. An entire month of little sleep. An entire month of triple the caffeine intake. I have to say, it took quite a toll on me, as you can see below. 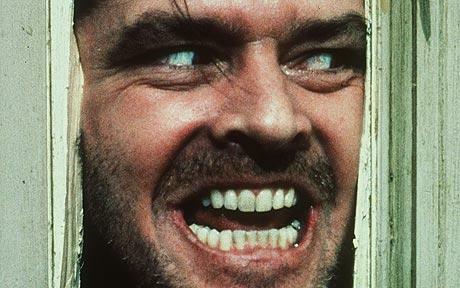 No, I didn’t turn into a crazed Jack Nicholson, though I was in zombie mode for nearly a week afterward. It was quite amusing, I’m sure, for anyone around me during those days. In all seriousness though, I did learn quite a bit about writing, and myself during those thirty days. I refer to this work as “The Prequel”. 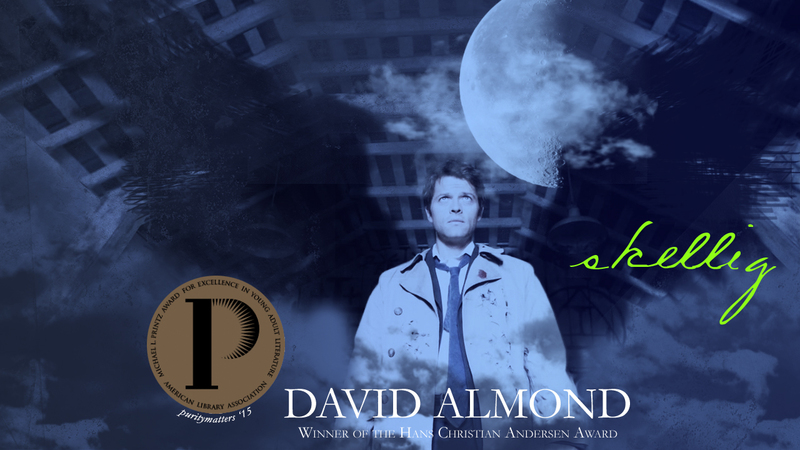 In April, when I entered my first writing contest, I started writing my first novel. It’s a time travel novel. However, over the course of five months, the plot just wasn’t really forming. This past fall I had acquired a copy of Snow Patrol’s “A Hundred Million Suns” and fell in love with it. As I was listening to it this novel idea assaulted my muse. The prequel for my already current novel. It just would not let me go. Scenes just kept entering my mind until I had to at least write down a rough outline so as to not to forget it, once I finished my current novel. But then realization struck me that I could not use my current novel for NaNoWriMo, officially. That’s when I decided to write “The Prequel”. And thus it all began. Firstly, it really is important to write every day (though I haven’t done so since November 30th!). During the competition I started out rather strong, even ahead. And then the unforeseen happened and I got the flu nine days in and was laid up for two whole days. I didn’t feel like doing anything, let alone writing. That put me behind by over 3,200 words. It then took me another couple days to recover from being sick to even want to attempt to write. When that week was all said and done I was behind by about 6,000+ words. This was not a good start to my first year of NaNoWriMo. Secondly, I learned that I really need to get to know my characters on a personal basis before I can convey their story to others. I didn’t really form a relationship with them until midway through writing. Though, by the end of it, we were really great friends. I think I told their story to the best of my ability (so far). I think they would be pleased. The most surprising thing that I learned was that your outlined plot is not set in stone. It can change, so let it. By chapter six, the plot took a fork in the road and turned into something completely different than what I had planned. Probably the most shocking thing about this whole writing experience was receiving a brand new plot twist at eleventh hour on the final night of the competition. Let’s just say the ending of the novel will be totally unexpected! The next, and I have come to realize, really is the most important thing, is to have a support system! Going into this only a couple people knew I was going to compete in NaNoWriMo. Some that I mentioned it to gave me odd looks and very carefully composed questions as to why would I do this. Why not? What had I to lose? Time? Sleep? Sure I can’t get those back. But look at what I gained! I wrote an ENTIRE 50k word draft! I pulled a whole book concept out of my head and got it down in physical words! I have never done anything like this! It was quite a rush! This is the first step to getting published (my ultimate dream)! But I digress. A support system. My biggest support system came from friends at work and church. Once they found out what I was doing, they became huge supporters and encouragers. I have to say, those that continued to ask about the progress of my work day after day, week after week, really is what powered me forward to completion. If I had not had that constant encouragement and interest, I probably would have gotten frustrated and just given up. But I didn’t. Thanks to them. You’ll be the first ones to read it once it’s been edited. You all know who you are. One other significant thing I learned during this journey was that I need to read more. If you know me at all, you know that I’m already a bookworm. I get giddy over bookstores. Yes, Barnes & Noble causes me to drool. Used bookstores, even more so! What compares to that old musty book smell with a slashed price tag? Not much, I say. Not much. But really, Stephen King, renowned author who has penned more books than I am even aware of (and under a pseudonym no less), gave a piece of advice in front of a group of people attending a conference in his recognition. Someone asked him what his advice would be to become a better writer. His reply was to read lots of books, in many genres. He said that if you don’t have time to read, you don’t have time to write. His recommended book quantity included 70-80 books a year! That’s about 2 books a week. Which has made it to my 2011 “Resolutions”, or Goals. Do I think I can read that many books next year? Not likely. Will I attempt to reach it? You betcha! So in retrospect, all the lost sleep, all the deranged dreams and ideas that cropped up during November, all the caffeine buzzes (Red Bull Fiasco of December 1st)…was it all worth it? Heck yeah! I really can’t wait to see how this all pans out from here. Saturday I emailed it off to my friend and cohort Saz who lives in New Zealand. She is my sole beta-reader. I trust her advice and I know she’ll give it to me straight. I also know that she’ll do her best help me to mold this draft into the novel that it has the potential for. At the many months of insistence from my good friend Saz, I have decided to enter the NaNoWriMo (National Novel Writing Month) contest. For those of you who haven’t heard of this crazydeathsentence competition, it is a mad dash to write a 50,000 word novel in a month. So I am committing to this first-time experience that commences on November 1. I have to admit I’m a bit nervous, but more excited than anything. I’ve developed an outline to write by (again, another first), as well as a writing playlist (I seem to write better with music guiding my Muse). I suppose what makes me nervous, is that this is going to be an original piece, with original characters that have only thus far lived in existence in my imagination. Writing this means not only putting myself out there for criticism, but also my beloved characters. Part of me doesn’t want to do that. Part of me wants to protect those characters from the inevitable flames that are bound to lash out at them. But the rational and adventurous part if me does want them to be out there, showing everyone their story, whether liked or not. That being said, I need some help with my main character. Let me introduce you to Ian. Ian is an anthropologist, and his passion is discovering and immersing himself in new cultures. A Peruvian tribe seems to be his latest find. Ian is Scottish, but had the privilege of attending Oxford, something not too common of his age and status in the early 1900s. The problem I’m having with Ian, is I don’t know what his last name is! I am having the most difficult time deciding. So you as my reader, friend, family, or tweep, can help me by voting below for the name that strikes you the most aesthetically pleasing for dear Ian. Music inspires me to write. As I’m writing my first fiction novel, music has driven me in the creative process. These songs have essentially become the soundtrack, if you will, for this book. I can almost see the characters on the silver screen with each of these songs drifting through the background in their respective places. 8. Before the Storm – Miley Cyrus w/Jonas Bros.